Library Out and About is a service in which the Out and About van visits the communities of Nagoorin, Ubobo and Builyan, and Wartburg, Rosedale and Lowmead. Click here for more information. 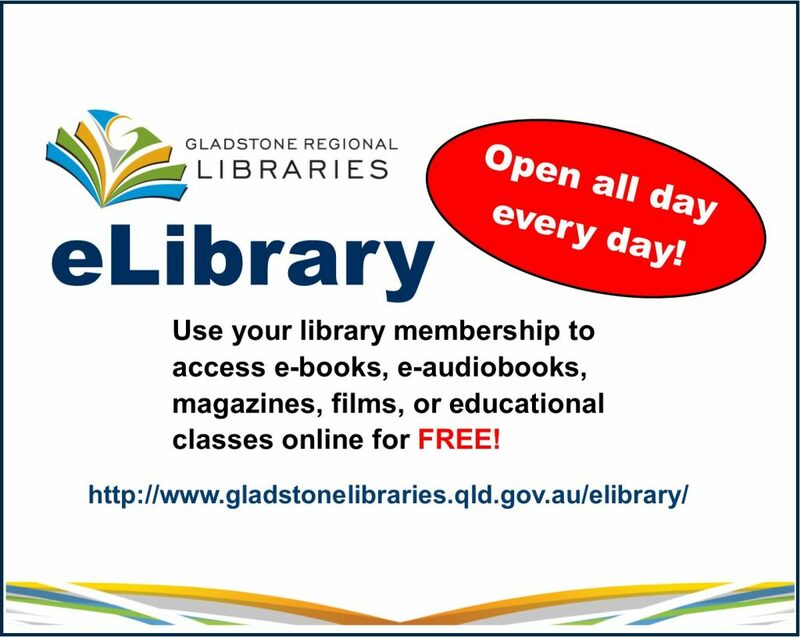 Joining our libraries is free for Queensland residents and you can borrow or return items at any branch of Gladstone Regional Libraries. Our libraries have collections of fiction and non-fiction books for adults, teens, and children. As well as large print collections, picture books, magazines, CDs, audio books, and DVDs. Up to twenty items of any type can be borrowed for a three week period. Library members can reserve an item from any of our libraries for free and borrow it from their chosen library. Our eLibrary, available 24/7 and free with your library card, includes: eBooks, eAudio Books, eMagazines, streaming films, eComics, and eLearning. There are free public computers at each library with internet access. All libraries have free WiFi available during opening hours. Events and programs are available for all ages at our libraries. Gladstone City Library and Boyne Island Library have various venues and meeting rooms for hire. Gladstone Library has a collection for Adult Literacy and English as an Additional Language. Gladstone Regional Libraries are fully accessible to people in wheelchairs, including car park facilities and lift access at Gladstone City Library.